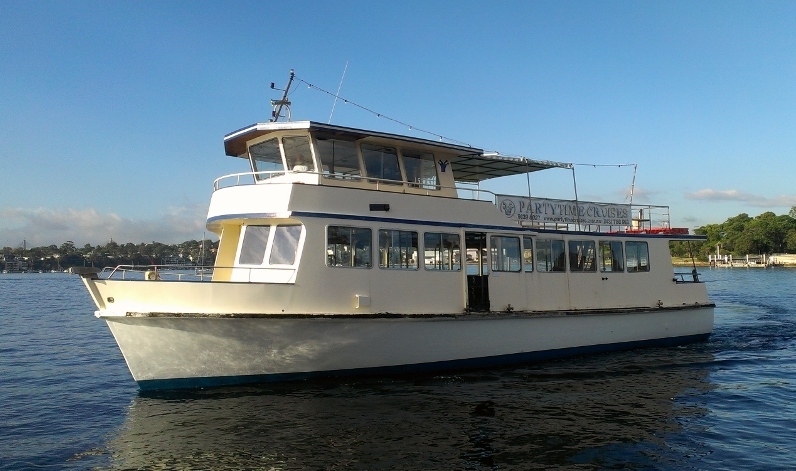 The MV Walsh Bay is a 60 ft character vessel with two decks allowing dining and dancing on the lower deck, while the large upper sundeck caters for those who wish to enjoy the spectacular harbour views and atmosphere. It is a fabulous party boat in our budget range, suitable for all occasions offering character and charm. The WALSH BAY has a carpeted main deck surrounding a polished Jarrah timber dance floor with large panoramic windows at each dining table allowing perfect vantage viewing of the ever changing kaleidoscope being Sydney Harbour. Choose from the inhouse integrated sound system with programmed light display or alternatively we can arrange a DJ. 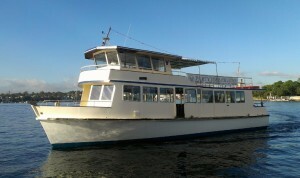 Walsh Bay caters for all functions for all weather and does Island transfers.